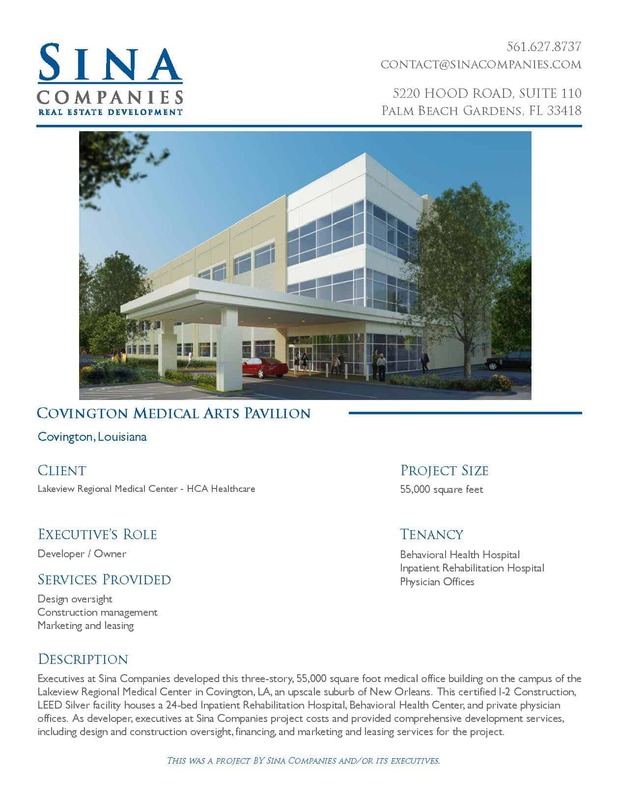 Executives at Sina Companies developed this three-story, 55,000 square foot medical office building on the campus of the Lakeview Regional Medical Center in Covington, LA, an upscale suburb of New Orleans. 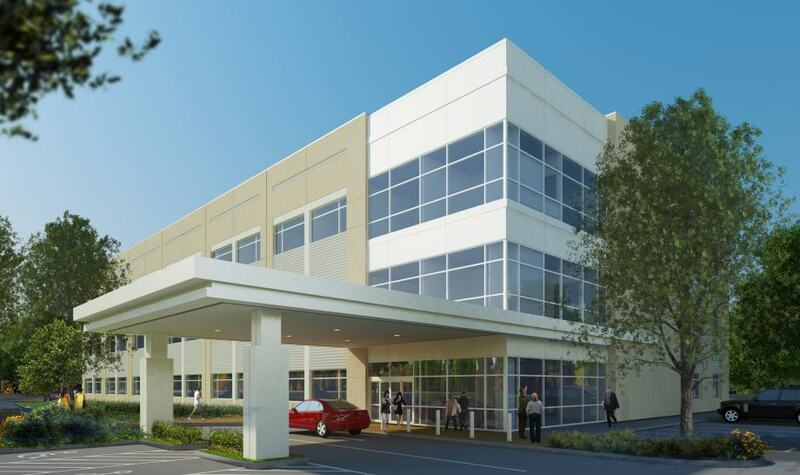 This certified I-2 Construction, LEED Silver facility houses a 24-bed Inpatient Rehabilitation Hospital, Behavioral Health Center, and private physician offices. As developer, executives at Sina Companies provided comprehensive development services, including design and construction oversight, financing, marketing, and leasing services for the project.